To sign up to the Homewares by Garden Trading Newsletter, simply click the Request Newsletter button below and you will receive amazing special offers, discounts and access to secret sales. Find everything your home needs in one place - Garden Trading source top-quality yet affordable furniture, lighting and accessories for your home and garden. Sign up to the Garden Trading newsletter now to save on furniture, lighting and accessories for your home. Homewares by Garden Trading Newsletter Brenda B. said: Great range of products. 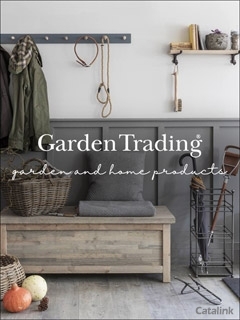 Homewares by Garden Trading Newsletter Valerie F. said: Very good informative brochure.I may well but in the future. By Pressing the Request Newsletter button you give Homewares by Garden Trading (and their Data Processors for the specific purpose of delivering your emails) consent to send you their newsletter via email until such time as you choose to unsubscribe.